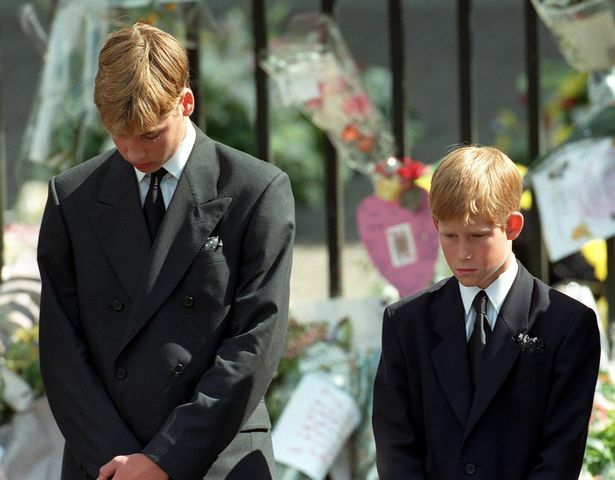 They were just young boys when she died, but now the sons of one of the world’s most beloved royals will soon unveil a new statue to honour their mother, the late Princess Diana, as they open up around the 20th anniversary of her death. Princess Diana of Wales died in a car crash in Paris on August 31, 1997, when she was just 36 years old. Princes Willian and Harry commissioned the memorial to commemorate the 20th anniversary of their mother’s death. The statue will be put in the public gardens at London’s Kensington Palace, a place Diana knew well and loved, but will not be completed until later this year. Her sons want to “recognise her positive impact” at home and abroad. The palace also recently opened a memorial garden to honour Princess Diana, named the White Garden, which was inspired by her life and style. After remaining relatively quiet about their mother’s death for years, the statue marks a chance for the sons to honour her publicly and share her legacy. A group of six people close to Princess Diana, including her sister and a close family friend, have led the committee to raise money and plan the statue. The statue comes after numerous failed efforts to create a fitting tribute to Diana over the last two decades. The statue from her sons, who were just 14 and 12 at the time of her death, is just one of many memorials set for the next few months. The Diana Award promotes the late princess’s love of young people, as well as her kindness, compassion, and service, and will be celebrated throughout 2017. Earlier this year, Prince Harry and Prince William recognised 20 young people from across the globe who exemplify their mother’s characteristics and are working to create positive change in their communities. The princes have just recently begun talking openly about their mother and the effect her death had on them as they participate in interviews and television specials honouring her legacy. As they participate in their official work as part of the royal family, the princes are also supporting causes their mother championed. Harry has continued her campaigns to clear landmines and treat HIV around the world, while William has focused on homeless shelters and child bereavement, also following in his mother’s footsteps. Together, the sons have worked to champion mental health, much like their mother. Although grief often takes place in private, the new public statue to honour Princess Diana allows her sons to share their memory of her with the country that also held her close.